Take an afternoon tour to all the must-go attractions in Hong Kong, plus you will have a sumptuous buffet dinner on Harbour Cruise Bauhinia. 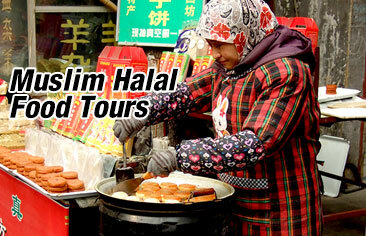 Detailed Itinerary: Our English speaking tour guide will pick you up between 12:50 to 13:10. First you will visit 2 iconic colonial architures of Statue Square and Former Legislative Council. Then skp the line to take Peak Tram ride to the summit of Victoria Peak, enjoy the splendid view from Sky Terrace, follow by a visit to Avendeen fishing village. Secondly exprience an escorted walking tour through the Mid-Level Escalator to Hollywood Road, to visit PMQ, a hub for creative place, take a boat ride by historical Star Ferry from Central Pier to Tsim Sha Tsui in Kowloon Peninsular. Photo chance in front of another colonial building of the Old Clock Tower. 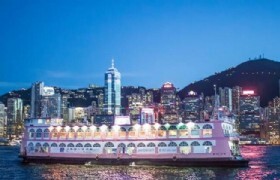 After enjoying the Symphony of Light show and buffet dinner cruise voyaging through Victoria Harbour, transfer back to your hotel at about 22:00pm. a public square in Central, Hong Kong. Built at the end of the 19th century, it originally contained the statue of Queen Victoria, in commemoration of the Queen's Golden Jubilee in 1887. Today, the only freestanding statue on the Square is the statue of Sir Thomas Jackson, the chief manager of the HSBC Limited in its early years. It is at the eastern side of Statue Square, directly west of Chater Garden. It housed the former Supreme Court from 1912 to 1983 and the Legislative Council from 1985 to 2011. This two-storied building is supported by ionic columns, its most outstanding feature is the central pediment that contains the statue of the Greek Goddess of Justice, Themis who is blindfolded and holds a scale. Operated for over 125 years, there's nothing in the world like riding the 373 meters long Peak Tram to visit the Victoria Peak. Many skyscrapers buildings you passed by look like they leaning at a 45 degree angle! Please take note that peak tram service will be temporary suspended from 23 April 2019 for upgrade project (last for approx. 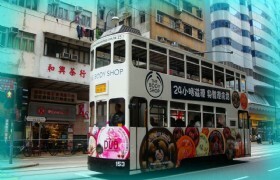 2-3 months), therefore we will use coach tranfer passenger up and down the Victoria Peak instead. No reduction in the tour price. Standing at 428 metres above sea level, it is the highest viewing platform in Hong Kong offering a stunning 360-degree panoramic view across Hong Kong, including the Victoria Harbour. Aberdeen Typhoon Shelter is an old traditional fishing village which is hard to find in any other parts of the World. You may gain a deeper insight of the lifestyle of Hong Kong fishing folks by riding on a sampan (at your own expenses). TSL is one of the few merchants that are the receiptian of 2011 Outstanding QTS Merchant Award for more than 10 years and counting. Known for offering a wide range of products from quality cut diamonds to outstanding original design handcrafted jewellery, a visit to the TSL factory will give you an exclusive first-hand experience on its state of art jewellery facility. Tai Kwun, or the Former Central Police Station Compound, is a centre for heritage and arts that was reopened to the public on 29 May 2018. It includes three declared monuments Hong Kong: the former Central Police Station, the Former Central Magistracy and the Victoria Prison. The Star Ferry is the oldest means of transportation in Hong Kong, as it begins carrying passengers across the Victoria Harbour in the late 19th century. It still carries over 26 million passenger a year today, and you will get a chance to experience this unique way of crossing the harbour with us on the tour. The Clock Tower was part of former Kowloon Station of Kowloon-Canton Railway since 1915. The main terminus building was demolished in 1978 leaving only the clock tower. 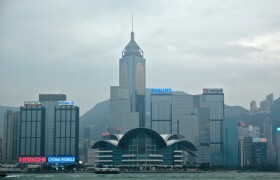 It is a landmark from the Age of Steam and has been listed as a declared monument in Hong Kong since 1990. Savor a sumptuous buffet dinner while a live band plays aboard the restaurant cruise liner - Harbour Cruise Bauhinia. Dance the night away, or relax and enjoy a view of the glittering city and the magnificent harbour. A symphony of lights has been awarded the world's "Largest Permanent Light Show" by Guinness World Records. While having buffet on the cruise, you can see this magnificent show over the Victoria Harbour. 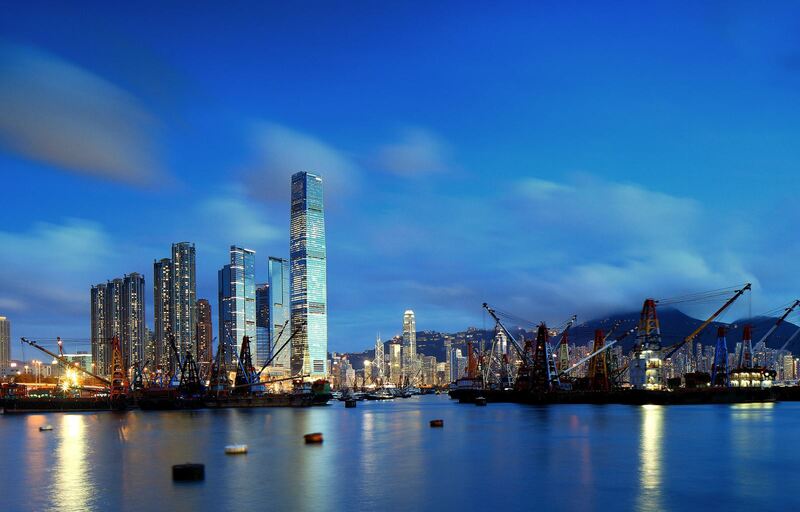 The show combines interactive lights of 45 key buildings on both Hong Kong Island and Kowloon. Your guide will give you a Rickshaw Open Top bus ticket (valid for 30 days). You will explore many heritage sites of Hong Kong with a 540-degree panoramic view on this double decker any time during your stay in Hong Kong. 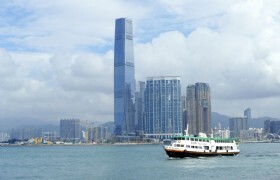 This Hong Kong Afternoon Sightseeing Tour Plus Dinner Cruise is sold on Tripadviosr. * At the Peak Tram Lower Station, people line up to enter through Individual Entry. The normal waiting time is 2 hours. You will use Group Entry which is a privilege benefit for travel agents' customers to skip the line. When you look at the long queues on site, you will like this massive advantage. * The Peak Tram will temporarily suspend service for one day for maintenance work to be carried out from 23 to 25 January 2019 (Wed to Fri) for maintenance and haulage rope replacement work. * The Peak Tram will take a substantial upgrade project and the 1st service suspension is from late April to mid/late July in 2019. The 2nd service suspension is from July to December in 2020. * Suspension of the cruise: When Tropical Cyclone Warning Signal No.3 or above or Red/Black Rainstorm Warning Signal is issued at or after 3pm on the tour day, the cruise will be suspended. No show of A SYMPHONY OF LIGHTS will be staged even if the Signal is removed before 8pm on that day. * How to join in this tour from airport: Please take 24-minute Airport Express, get off at Kowloon Station, Exit D1, walk for 97m (2 minute) to W Hotel. The pickup time from W Hotel is 12:40 daily. Your tour guide has a pickup list and will find you in the lobby. From Airport Station: The first train leaves at 05:54, the last train leaves at 00:48. 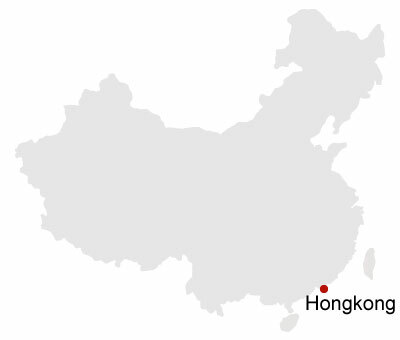 From Kowloon Station: The first train leaves at 05:53, the last train leaves at 00:52.